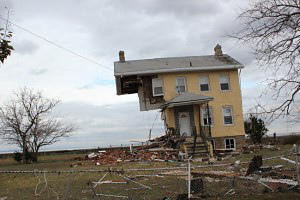 The last several days have been a trying time for many people in the tri-state community after the devastation brought on by Superstorm Sandy, namely on the Jersey shore. 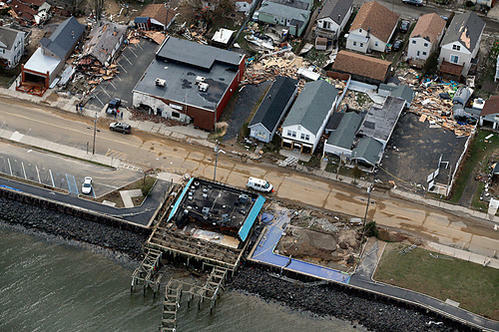 Having been raised in the small, beach tourist town of Point Pleasant, NJ myself, I’ve witnessed firsthand how this storm has impacted the everyday lives of people. 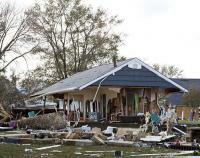 I’ve been fortunate to not have any personal destruction to my home. And yet I’m having a hard time going back to life as usual, to picking up my hooks and yarn, when I’m literally surrounded by others in need. And I know many in the knit and crochet community feel the same way and want to help but are unsure how to make a personal impact when they are a distance away. I have a solution, if you will lend your ears and hearts. , and the only school in town, Memorial School, took on several feet of water as the storm raged throughout this 1.8 square mile town. The children have been displaced from their school (and won’t be returning for another few weeks) to a temporary building until theirs is fixed. And the school itself is in need of repair, with many things lost. The tide took with it many things from peoples homes but not their spirit. I’d like to help get back some of those things, starting with the school. From now until November 30th, every NexStitch crochet pattern will be marked down to 50% off. Use coupon code “SANDY” at checkout. All money collected during this time using the coupon code “SANDY” will be used to purchase items from Union Beach Memorial School’s Amazon wishlist. Additionally, if you’d like to purchase something directly from their wishlist, that would also be wonderful. So a school kid gets a backpack, paper, and pencils and you get a crochet pattern as well as good karma for having helped out. :manyheartIm sure any and all that can will look into this, the devastation is unbelievable..thank you for you kindness, and for making us aware of a wonderful way to help. Bless you for doing this to help others! I really appreciate it because I finally have the pattern for the Sweet Pea Shawl. Thanks! !